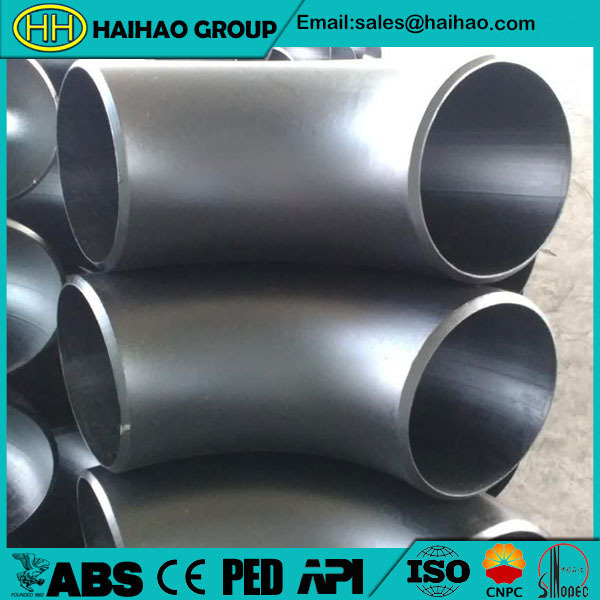 Elbow is mainly used to connect two pipes,sometimes called a “quarter bend”.It is split into three groups, which define the distance over which they change direction.We mainly produce elbow according to ANSI/ASME B16.9,ASME/ANSI 16.28,GB,HG,API,EN,BS,DIN,JIS,GOST,AS,etc. Class 2000,calss 3000,class 6000,class 9000,class15000. Alloy steel: ASTM/ASME A234 WP 1-WP 12-WP 11-WP 22-WP 5-WP91-WP9,ASTM A182 F5,F9,F11,F12,F22. Our group as a first class manufacturer of elbow.We have more than 30 years of experience.We also can manufacture the products as per client’s requirements. .Products are produced by forging, cold pressing, cold forming, hot extrusion, heat treatment, polishing, rubbing, machining and chrome finishing.If you have any need about 90 degree elbow and other products,welcome to call us or sends e-mails.